Hopefully you will have joined us on Tuesday night poolside in Vegas. I’ve already heard from several presenters who read yesterday’s post and they will be there with me! We meet so many of you in our sessions, but we don’t get the chance to really get to know you. That’s what the pool sessions will be about…we can talk math, but we also want to get to know YOU! We want to hear about the amazing things you do in your classrooms and outside of school. Bring your friends, or come solo, I promise you will make new friends! So, reasons 8 & 9 take place Wednesday morning…what better way to start your day than learning about Guided Math 101 followed up by Questioning & Vocabulary Strategies! These two sessions work well being right next to each other in the program. During guided math 101 I will share with you the components to a guided math classroom–it’s not just small group instruction! You will get the chance to explore several different structures you can use and I will reinforce the fact that there isn’t one right way to do guided math. 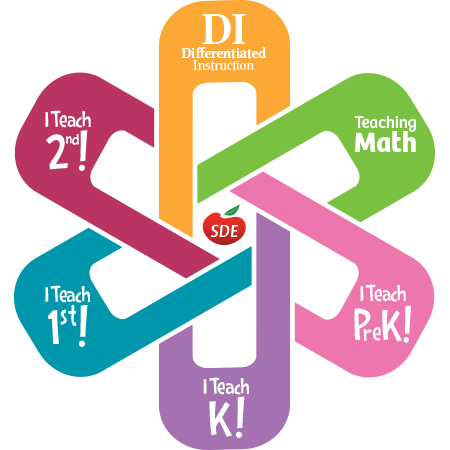 It doesn’t matter which framework you choose, what will make the difference is the instruction you provide to your students. And that’s why the next session is so important! After a short break, just enough time for you to wait in line at the restrooms, we will continue looking at strong tier 1 instruction in regards to effective questions and vocabulary activities. What types of questions should we be asking? What are open-ended questions and how do we create them? Is there a strong supplemental resource to use for effective questioning (here’s a hint…YES! and I will share it with you). We will play multiple vocabulary games, which you will so much that you might want to teach your friends how to play over dinner that night. I mean, what else would you be talking about at dinner in Vegas??? I know you’re ready to join me! Click the image below to begin your registration process. I promise it will be a week you will never forget! Are you going to continue your 17 reasons for attending the conference? I’ve SO enjoyed reading your first few posts and it has sparked my interest in attending. I would love to hear your last reasons! Hi Rachel…Yes!!! I will pick back up this week! I would love for you to attend. It truly is an amazing conference…it’s my favorite week of the year! Let me know if you need any help from me if you decide to attend. I will put up my next post tomorrow night. Thanks for your comment…this is what I needed to get myself writing again!